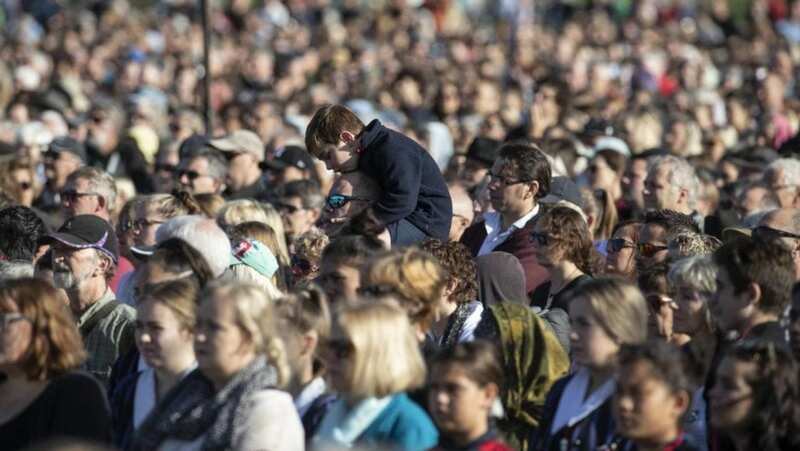 Yusuf spoke from the heart when he addressed the crowd gathered in Christchurch’s North Hagley Park for the National Remembrance Service to honour and commemorate those killed and wounded in the atrocity on the 15th March. He praised the unity that the people of New Zealand have shown after having been confronted by such a despicable act of evil. “We learn about things through their opposites”, Yusuf explained, contrasting their love and kindness with the act of terror that occurred two weeks earlier. It was also with deep sincerity that he extended his prayers to “those shining souls whose lives were snatched away” as well as to their families. 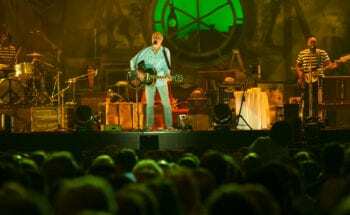 Then, accompanied by his good friend Bruce Lynch, a New Zealander and his bassist from the Cat Stevens days, Yusuf delivered a short but powerful performance. He opened with an extract from ‘Peace Train Blues’ that clearly resonated with the calm sea of faces that stretched out before him on a bright and warm Friday morning. The song’s poignant lyrics were swept across them by the gentle breeze, “Why must we go on hating, why can’t we live in bliss?” Yusuf then performed a stunning version of his timeless anthem of hope, ‘Peace Train’ which was celebrated by a generous round of applause that signalled a profound connection with the song’s message. Before commencing with his final song, Yusuf once again praised the spirit of the New Zealanders, “This is really a song which could be said to reflect that wisdom that it’s only when good people stay sitting that evil rises. we’ve seen the opposite in this country, may God bless you all.” He then launched into a spirited version of ‘Don’t Be Shy’ which was uplifting both in that it had the entire gathering on their feet but also in that it left them with a much needed note of optimism – one that also serves as a powerful message to the whole world when faced by the forces of darkness. Our hearts go out to the families of those whose lives were snatched away in that evil carnage while they were worshipping in the Mosque two weeks ago. We learn about things through their opposites and it’s through opposites like this, the evilness of that act and what drove it, we find its opposite which is the love and kindness and unity which has sprung up right here in New Zealand. And, that love and unity is actually what all the Prophets and Messengers of the Divine taught. The last Prophet Muhammad (peace be upon him) said that all of the Prophets are brothers. Their mothers are different but the religion is one. And, I think that’s the message which a lot of people who have, or profess faith should come back to, because that is the centre. And, our prayers go to those shining souls whose lives were snatched away in that moment of madness may peace be upon them. Peace in this world may take a bit longer. I’m gonna sing a song for you now. 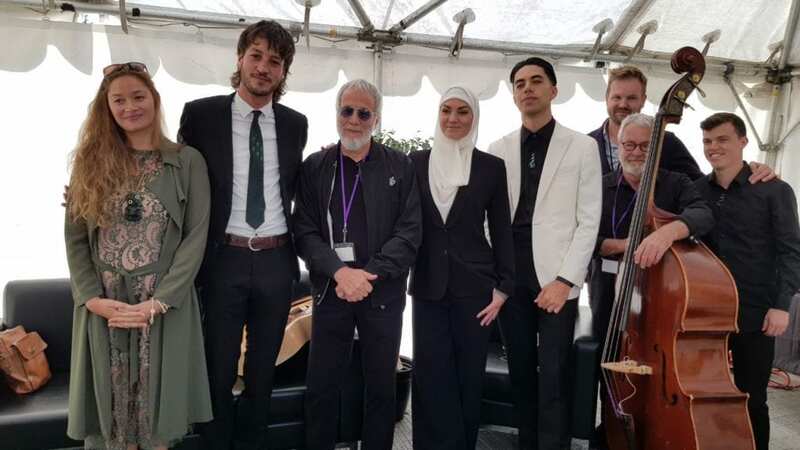 Yusuf met with dignitaries, the other performers at the memorial service and most importantly with some of the survivors and the families of those killed in the terror attack. 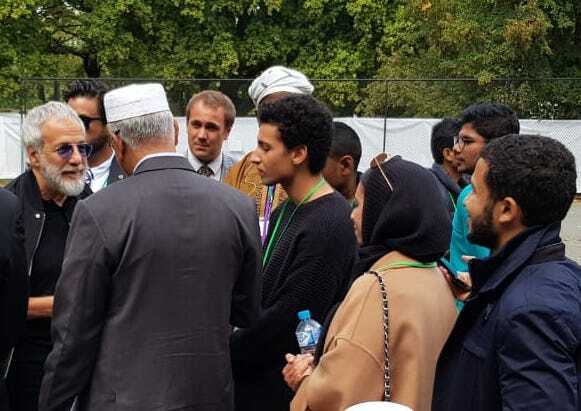 Later in an interview with New Zealand’s 1 News he told of meeting with the parents of a boy called Tarik who had lost his life on that fateful day. Clearly fighting back tears of emotion Yusuf recounted how they had told him that on the night before Tarik had been singing ‘Peace Train’, and of his classic hit he went on to say “I wrote that song so many years ago and yet it’s still so profoundly relevant”. In a separate interview, this time for The Press newspaper, he further explained that sometimes the meanings of his songs are only revealed much later on. He singled out one particular line as having affected him deeply during his performance, “Now come and join the living”. The Spark Arena in Auckland certainly lived up to its name at an electric night on New Zealand’s North Island. The crowed buzzed with an energy that Yusuf and the band had to meet head-on in a clash that might have be better suited to the rugby field, but only in the friendliest of matches.